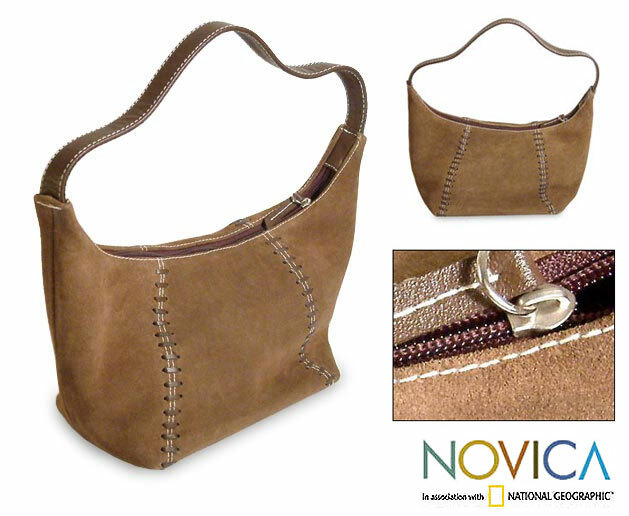 I just found out about this great company called Novica, associated with National Geographic! I guess I'm just not with it, because if I were, I'd have known about Novica having been named one of the Hot 100 websites in Dec 2008, carrying right over to now, 2010! Do you love authentic regional artwork? (Me!) Do you love quality textiles, fabrics, stones and metals made into art from other countries? (Count me in!) Do you travel just to find wonderful souvenirs and treasures at bargain prices? (No, but would love to!) Do you love to help others who are struggling to make ends meet? (Of course!) If the answer is yes to any of these questions, you will love Novica! 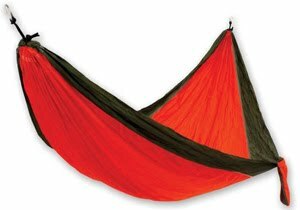 As I browsed the site, I found beautiful quality, hand made creations like hammocks to relax in, beautiful leather and suede bags, sweaters made from the finest alpaca wool, truly authentic and beautiful jewelry and more! All of these were made by artisans from places like the Andes, Bali and Java, Brazil, Central America, India, Thailand, Mexico and India. Personally, I think Novica makes the world much smaller in terms of bringing the work of small time artisans as well as more prominent international artisans to my doorstep! Beautiful creations from around the world can make me smile, in the comfort of my home, not to mention the great deals! Some more questions to ponder - Are you the discerning shopper who loves to give great, one-of-a-kind gifts? Are you part of a corporation who wants to make an impression with the gifts it presents? Novica has a great corporate gifts section as well as a green gifts category, with items that are eco-friendly, and kind to the planet! Artisans such as César Gonzáles are so grateful for Novica and their artisan loan program, where they give eligible artisans loans with 0% interest! 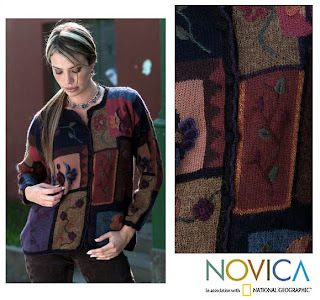 "I give thanks to Novica for the significant change it has made in my life. Before, we were living with a mattress on the floor, and now we have a comfortable and pleasant new home. I'm very happy to have been able to pay for the schooling of my three children and the comfort of my family. Previously, I sold my work on the street. Now, my income has increased three times. I am doing the job I always dreamed of doing, and I love it." My opinion of Novica is very high! I love the fact that they give talented artisans around the world a place to express their artistic talents and provide access to the world market! I consider use of this site a must! 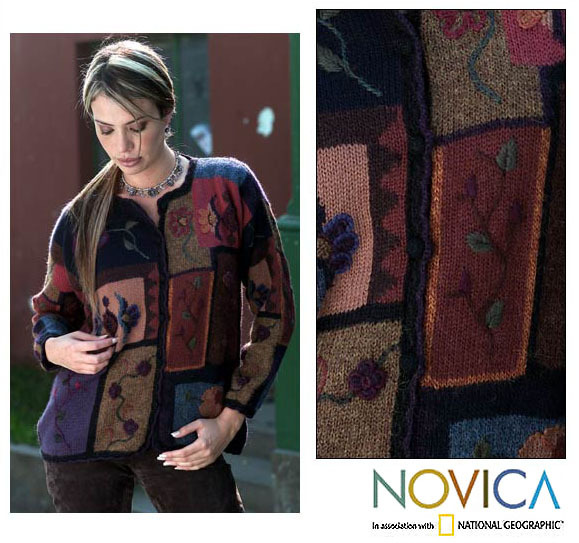 I L-O-V-E Novica!! I received a ring and a beautiful shirt in return for my review of them and I can personally attest how fantastic this company is. When my items arrived, it was like it was my birthday. Everything was wrapped with such care, like a present I might add, complete with little cards describing what was inside. 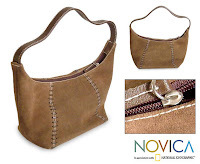 I'm in love with Novica! I had never heard about this company until a month ago or so! I really think the products they have are unique! One day I hope to own something from them! Great review! What a GREAT!!! company that helps artists and artisans from around the world express their artistic talents. 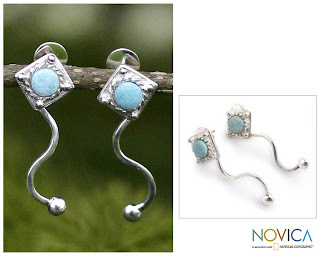 I've been on the Novica site before and I love some of their stuff. I really like handcrafted items and they have a nice collection. I also only learned about Novica recently. I like the African wooden elephant bookends!